OTTAWA -- The Harper government is temporarily standing on the sidelines as international negotiations ramp up for a United Nations climate conference at the end of this year. The conference scheduled for Paris in December is supposed to result in a post-2020 global agreement on cutting greenhouse gas emissions -- a successor to the Copenhagen accord signed in 2009. 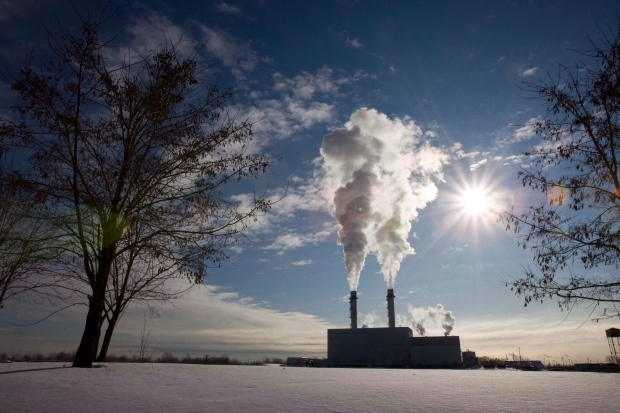 To help the negotiations, countries that are ready have been asked to submit their emissions targets and climate plans by March 31, a Tuesday deadline Environment Canada says it won't meet. The United States is expected to announce its post-2020 emissions targets by the end of the day Tuesday, but had already broadly laid out its goals in announcing a climate deal with China last November. In the meantime, the U.S. and Mexico agreed to a joint task force on climate policy co-operation on Friday after Mexico announced its emissions will peak by 2026 and fall 22 per cent below "business as usual" levels by the year 2030. Mexico is the first developing nation to submit its nationally determined contribution to the Paris organizers. The Conservative government, which has repeatedly stressed that Canada's climate policies must be co-ordinated with our continental trading partners, is not party to the new U.S.-Mexico task force. Nor will it submit its emissions targets to the summit organizers this week. Under opposition questioning Monday, Environment Minister Leona Aglukkaq would only commit to submitting Canada's national contribution "well in advance" of the December summit. "Because this is an international contribution, we are seeking information from the provinces and territories to understand how they intend to meet their targets and how their plans will factor into Canada's overall commitment," Aglukkaq told the House of Commons. "The only thing the Conservatives are on target to meet is complete failure," NDP environment critic Megan Leslie shot back. "When will we stop being international laggards on climate change?" Liberal critic John McKay accused the government of "sabotage" on international climate talks. "Why bother with the charade of COP21 in Paris?" he asked, using the acronym for the 21st annual UN Council of the Parties climate conference. As for the U.S.-Mexico climate deal, Aglukkaq said she is "very pleased that Mexico and the United States are undertaking efforts that emulate much of the work that Canada has done in partnership with the United States," drawing groans from the opposition benches. A U.S.-Mexico joint statement posted Friday by the White House stressed "the importance of jointly addressing climate in their integrated economy." Canada and the United States signed off on a so-called "Clean Energy Dialogue" in 2009, which included working groups on specific areas such as automobile fleets and transmission grids. Prime Minister Stephen Harper said in a year-end interview last December that Canada can't regulate its oil and gas sector without co-ordinating with the U.S. and Mexico. However, government statements in recent years have not reflected any substantive talks, let alone agreement, between Canada and the U.S. on common regulation of their oil and gas sectors. Louise Comeau, the executive director of Climate Action Network Canada, said the U.S.-Mexico task force appears similar to bilateral groups set up by the Americans with China and India. "Mexico has put on the table a pretty significant target and indicated it is prepared to negotiate" further cuts, she said. Comeau said it's important to get those country contributions on the table now in order for summit organizers to analyze the many different models well before December. Failing to do so "constrains the whole negotiation," she said. But Comeau agreed Ottawa ultimately will need to know what additional measures Ontario and Alberta are planning as part of Canada's national contribution. 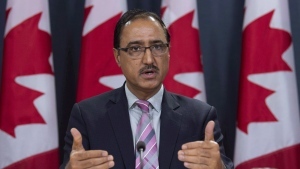 The Ontario government has promised to bring in a carbon-pricing scheme this year -- likely in June -- while Alberta is overdue to renew and strengthen its carbon tech fund for large emitters. Canada will need to cut its emissions by roughly a third from current levels by 2025 in order to keep pace with U.S. targets, said Comeau, and provincial efforts alone are not enough. "To get there, the feds are going to have to put something on the table."